Ok, picture this...you and your sweetheart have just taken a relaxing bubble bath in your luxury double jacuzzi tub. You're wrapped up in your kimono spa robes and slipper socks and are sitting in front of your own fireplace in your very private room/suite/cottage. No kids, no worries, just total relaxation. 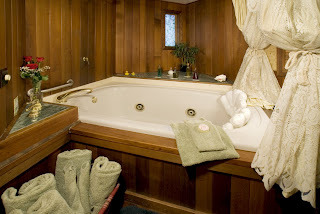 Here at Sandlake Country Inn, no matter what room you choose, romance is in the air. We provide the bubble baths, scented lotions, candles (battery operated), robes and the "Worlds Softest" slipper socks. Unlike most Bed and Breakfasts, we don't worry about our guests having food and drink in their rooms. In fact, we encourage it! That's why we delivery your 4 course breakfast & hot beverages to your door in the morning. When you book a room with us we know that you are here to spend quality time with your loved one, so we do everything we can to make your stay an experie nce, not just a place to rest your head. We also honor your privacy, but we are here if you ever need us. CHEESE FONDUE FOR TWO - Perfect for a chilly night or when you don't want to stop for dinner before your arrival. Everything you need for a romantic light dinner for two. 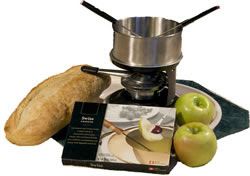 Cheese fondue, cubed artisan bread from a local bakery and sliced Oregon apples. Pair it with a bottle of wine from our gift area (extra charge). 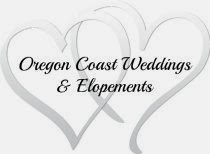 Whether you visit us to celebrate an Anniversary, Birthday, Honeymoon or just a night away from the stresses of everyday life, let us help you plan your special getaway on the beautiful Oregon coast and find out for yourself why "Best Places to Kiss in the Northwest" rates our Oregon Coast Bed and Breakfast "simply sublime".